1. IMPORTANCE: Are government agencies viewing social media as a priority or a peripheral activity? In this section, we reveal some of the results of a GovLoop survey that garnered the insights of more than100 federal, state and local government professionals. 2. 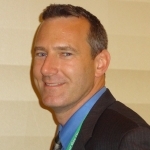 IMPACT: When social media is prioritized, what is its demonstrable value? We highlight eight experiments where social media has been applied to mission-related, functional areas such as budgeting, community planning, emergency management and health services. 3. IMPLEMENTATION: How can agencies replicate these successful social media experiments across government? We give you a step-by-step approach to strategic implementation – from people to participation and policy considerations. 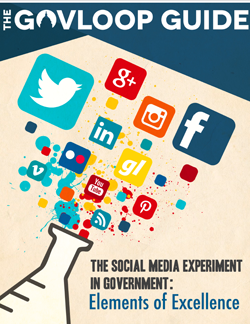 Our hope is that this guide is highly practical and provides a resource to share with key stakeholders, helping you make the case for further social media experimentation in government – experiments that lead to breakthrough results! successful implementation strategies in the comments below.